Being bullied has been found to have a significant impact on children’s physical and mental health, psychosocial well-being and educational performance, with lasting effects into adulthood on health, well-being and lifetime earnings. Little is known about bullying in low- and middle-income countries, however. 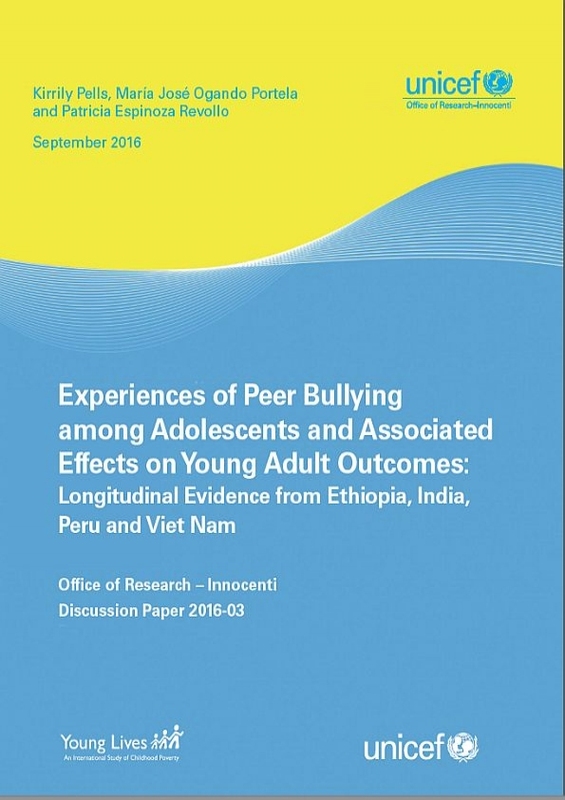 To help bridge this knowledge gap, the study uses a mixed methods approach combining survey analysis of the predictors and associations with being bullied, with qualitative data to explore the context in which bullying occurs and the social processes that underpin it. Findings show that better data collection and increased resource allocation to bullying prevention are needed. The development and evaluation of different types of effective, sustainable and scalable bullying prevention models in low- and middle-income country contexts should therefore be priorities for programming and research.